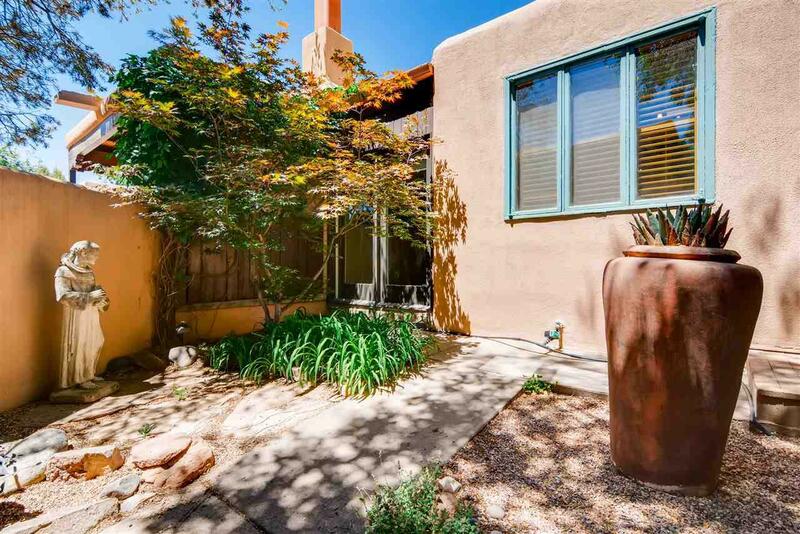 This is a much coveted property: a condo that is charming, private and easy - the perfect Santa Fe get-away! 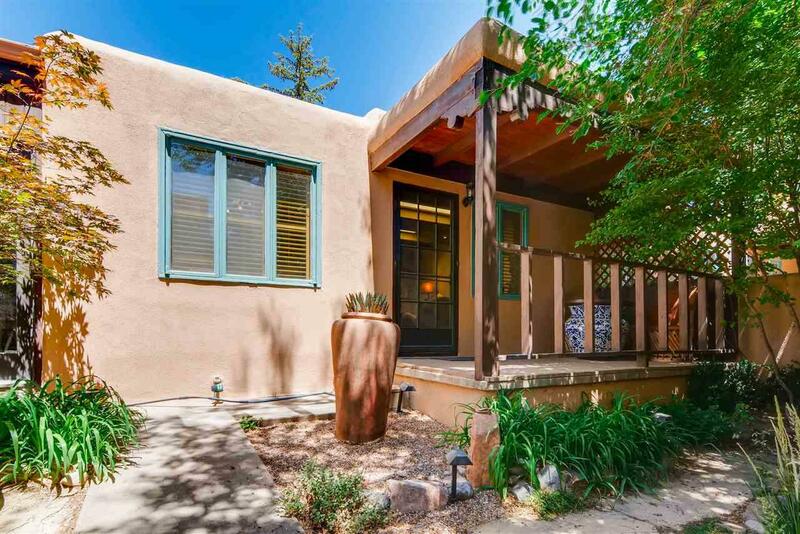 Tucked away and within minutes of Canyon Road, from this location you can walk all over downtown Santa Fe! When you open the gate and see the front patio area, you know that's where you have a secluded spot for coffee. When you walk in the front door a cozy living room welcomes you, and on a chilly morning or evening the kiva fireplace can become your gathering spot. When you walk into the kitchen you'll see updated stainless appliances, plus a grand granite counter that supplies lots of kitchen work space. When you walk through a french door you'll see a sun porch room (not part of the square footage because it isn't heated) but such a useful retreat, complete with a double french door that welcomes you outdoors! You'll see two generous bedrooms, two bathrooms nicely appointed: one has a bathtub, one has a walk-in shower. For summertime comfort: refrigerated A/C and sunshades on the skylights are great! Plus, this is part of the East Alameda condo association, professionally managed, and worry free because the exterior elements are all taken care of by the association/HOA fee. 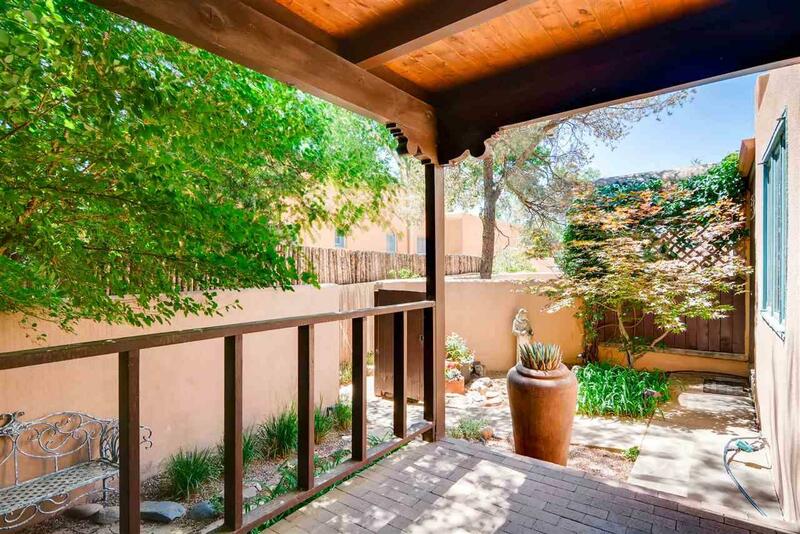 This is truly a Santa Fe gem, for full-time living or a Santa Fe retreat: you even have the option to make this a VRBO which the current owner has done to great success: any interested buyer can request the financial information. Walk in the property and you'll know you are home! 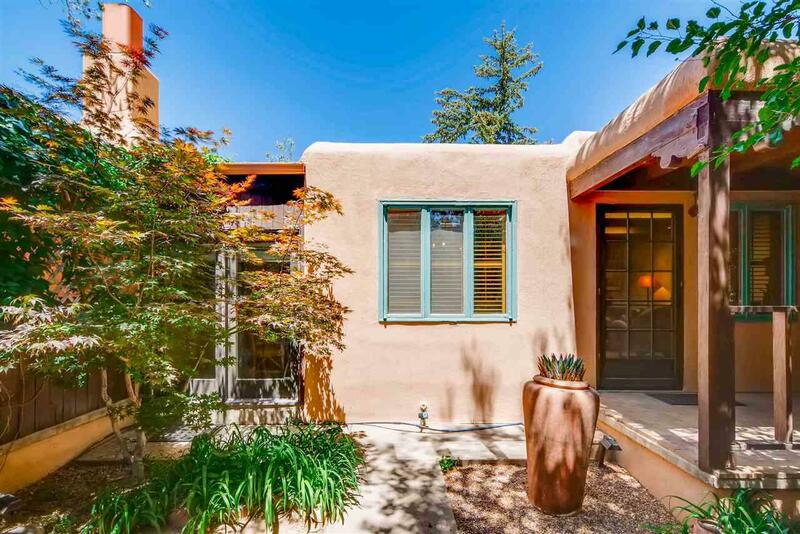 Listing provided courtesy of Julia Gelbart of Santa Fe Properties/Washington. © 2019 Santa Fe Association of REALTORS®, Inc. MLS. All Rights Reserved.